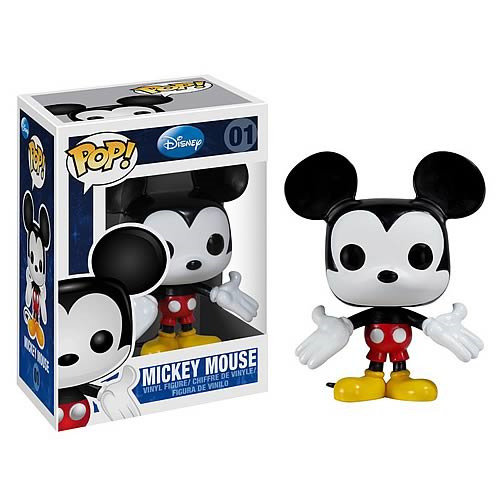 Shopping for Mickey Mouse Vinyl Figures? There's only one Mickey Mouse, and here he is... in vinyl! This 3 3/4-inch Disney Mickey Mouse Pop! Vinyl Figure presents the mascot of Disney's rich animation history, poised to add some pop culture to your house in a unique stylized form you've probably never seen before. Grab him while you can! Ages 13 and up.